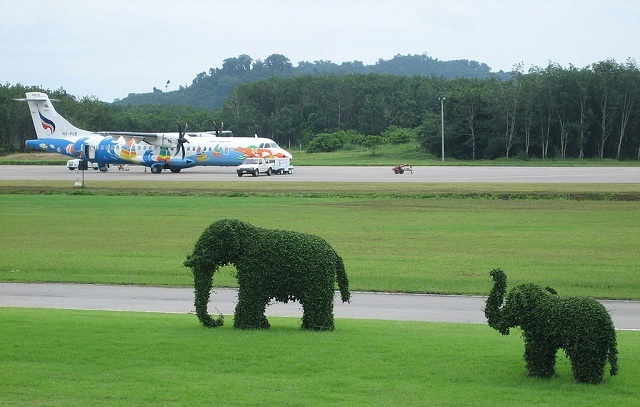 After spending a great day with a friend who just got into town, I came to the realization that so many travelers that come to Thailand have no idea about our great selection of Low cost Airlines. Sure most everyone knows about AirAsia. But there are a lot better offerings out there right now in 2017. 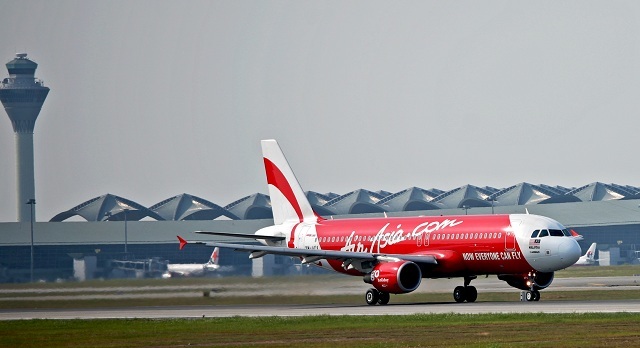 AirAsia is great as they really brought in low cost flights to the area. But from my experience they tend to be a bit more expensive then the others for domestic flights. Most likely this is because of their popularity. Little do people know that most of the low cost airlines include a check-in bag in the price of the ticket, and if you keep a lookout for their promotions, you may even be able to catch a domestic flight for around 500baht (~$15). Here is a list of my favorites. check them out, and leave a your comments below. Bangkok Air touted as the Boutique airline of Thailand really lives up to their reputation of being one of the best local airlines, and certainly my favorite. With their free lounge and excellent customer service. It is a rare occasion when I am disappointed. keep in mind that the lounge access is only available before your Bangkokair flight. So if your flying to Bangkok with a 5 hour layover to catch an international flight to Europe or the US. Your 5 hour layover will be spent out in the crowd with the rest of the economy travelers, fighting for a bench to rest your weary body. 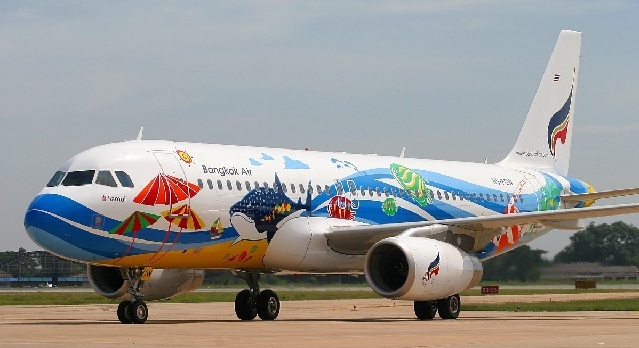 Also Bangkokair flies direct to BKK (Suvarnabhumi Airport). 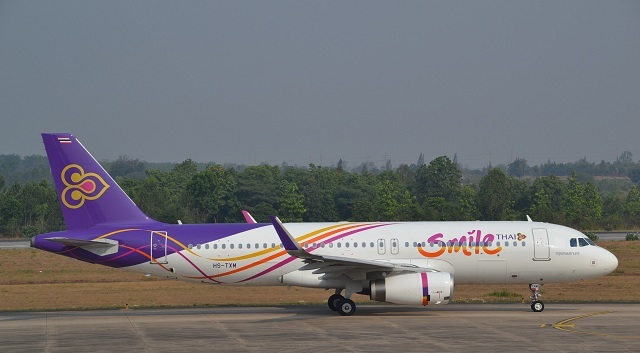 Here is another great airline that flies direct to BKK (Suvarnabhumi Airport). Which I usually use to price shop against Bangkokair, as I prefer to fly directly to bkk if I will be flying onward to a long-haul international location. Also with both of these airlines, you can ask for them to check your bag all the way through to your final destination. They are not always able to but if it is a partner airline of theirs then I push them to take care of this headache for me, especially if I have a short layover and do not want to stress about grabbing my bag just so I can recheck it in on the next flight. Another thing to keep in mind is this airline is part of ThaiAirways a 4star airline and member of staralliance, so their is a good chance that they can book you all they way through to your home. These guys have been around for a while and also do a great job. 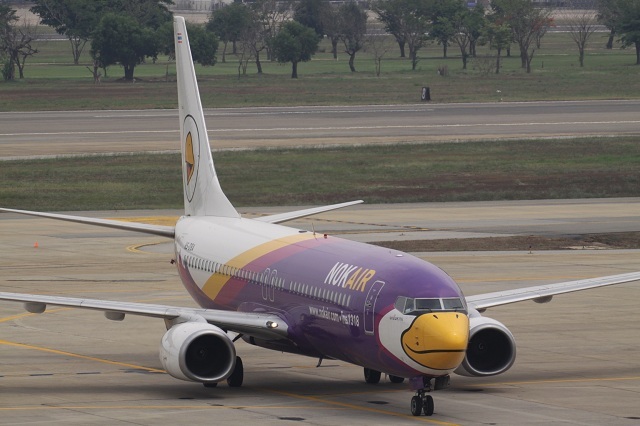 ‘Nok’ the Thai word for bird, as you will notice by the bright yellow beak on the nose of the plane. Unfortunately only fly into Don Muang on Bangkok destination flights. They offer a reasonable rate and great service. So if you are just flying into Bangkok or if you are willing to take the free shuttle across town to BKK. They can also be a great solution to the budget minded traveler. 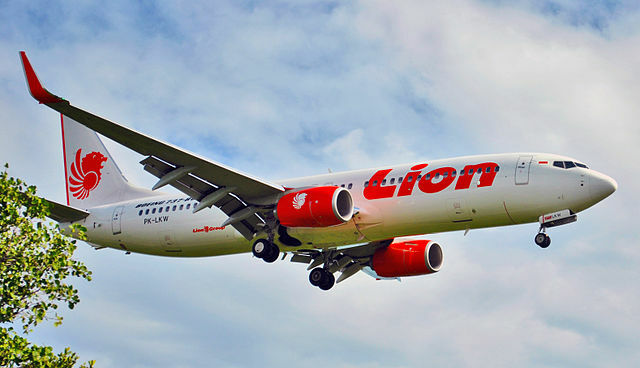 Here is another economy airline that has only been around for a few years, and is making a big dent in the industry. I first heard of them a few years back when their representatives were handing out Flyers in the Chiang Mai walking street proclaiming 500 baht flights to Bangkok. Since that time they have become a bit more popular, and those flights are a bit fewer and farther between. They also use Don Muang as there airport in Bangkok so keep that in mind for connecting flights. Ok, I couldn’t have a post like this without mentioning AirAsia. These are the old guys in the industry, and have done the best at getting there name out to become a recognized brand the world over. Based out of Kuala lumpur but do a great job at covering the Thai marketplace. If you are planning well in advanced you may certainly find a few good deals. Also keep in mind they only fly to Don Muang when in Bangkok. and a check in bag is extra, well actually most everything is extra. A slight touch better then Ryan Air in Europe. Which may be a bad example as Thai Hospitality in general is leaps and bounds above Ryan air’s. Many of these airlines don’t seem to know much about SEO or getting there name out, so if you do not remember the airline name they may be a bit hard to find via the search engines. So go ahead and add this post to your favorites for future reference, and please share with your friends. Also there are a few other small airlines as well as other international ones who offer some great rates on Thai domestic flights. Have a great flight and leave your comments below. In English, Thailand means land of the free. Thailand is the only country in Southeast Asia to have not been colonized. This page will take you through the different eras or periods that Thailand has transitioned through. Thailand has an 800 year period of history. Within this history, it has been the only Southeast Asian nation never colonized by a foreign power. Their are five periods in which this history can be divided. Nanchao (650 to 1250) The people of Thailand founded a kingdom in southern China. This is, at the present Yunnan, Kwangsi and Canton. 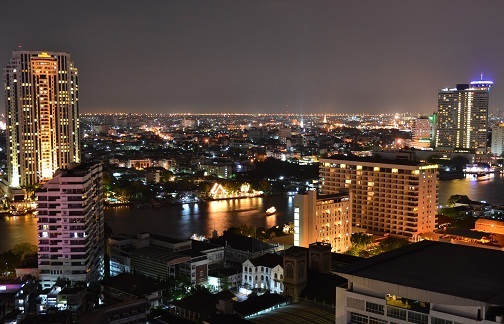 People migrated to as far as the Chao Phraya Basin. The people would settle here under the Khmer Empire’s sovereignty. The independent state of Sukhothai was founded around 1238 A.D. 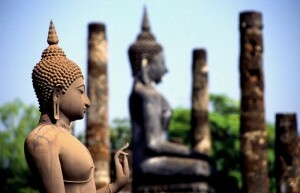 This gives birth to the period of Sukhothai. Sukhothai (1238 to 1378) Thai people begin to become a dominant force in this region in the 13th century. Eventually, the Thais begin asserting independence from the then present Khmer and Mon kingdoms. This is called “the dawn of hapiness” or thought of as the golden era of Thailand’s long history. 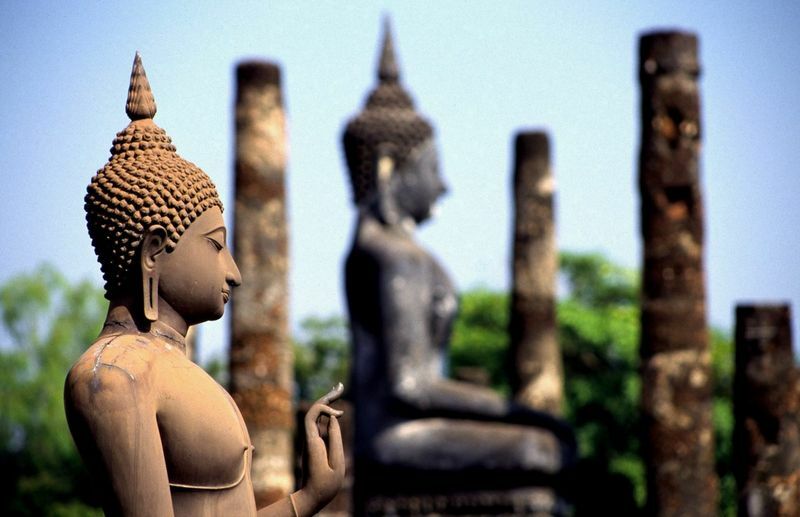 In 1350 the state of Ayutthaya placed its influence over the state of Sukhothai. Ayutthaya (1350 to 1767) Khmer culture was adopted by Ayutthaya kings, such as Ayutthaya culture was placed over Sukhothai. Ayutthaya sovereign rulers were not the same type as Sukhothai’s paternal and accessible. Ayutthaya’s sovereigns were absolute monarchists that took the title of devaraja or god king. The earlier part of Ayutthaya, extension was made by placing its sovereignty over neigboring Thai principalities which led it into conflict with its neighbors. 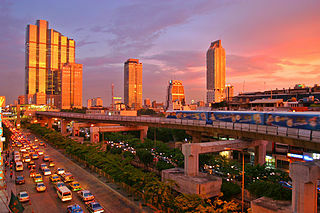 During the 17th century, Siam started to gain diplomatic and commercial relations with the west. In 1767 an invasion by Burmese was a success, the result was the capture of Ayutthaya. Despite this victory, the Burmese did not have control for long. A young general named Phya Taksin and his followers broke through the Burmese encirclement and escaped to Chantaburi. Seven months after the fall of Ayutthaya, he and his forces sailed back to the capital and expelled the Burmese occupation garrison. Thon Buri Period (1767 to 1772) General Taksin, as he is popularly known, decided to transfer the capital from Ayutthaya to a site nearer to the sea which would facilitate foreign trade, ensure the procurement of arms, and make defence and withdrawal easier in case of a renewed Burmese attack. He established his new capital at Thon Buri on the west bank of the Chao Phraya River. The rule of Taksin was not an easy one. The lack of central authority since the fall of Ayutthaya led to the rapid disintegration of the kingdom, and Taksin’s reign was spent reuniting the provinces. Rattanakosin Period (1782 to the Present) After Taksin’s death, General Chakri became the first king of the Chakri Dynasty, Rama I, ruling from 1782 to 1809. His first action as king was to transfer the royal capital across the river from Thon Buri to Bangkok and build the Grand Palace. Rama II (1809-1824) continued the restoration begun by his predecessor. King Nang Klao, Rama III (1824-1851) reopened relations with Western nations and developed trade with China. King Mongkut, Rama IV, (1851-1868) concluded treaties with European countries, avoided colonialisation and established modern Thailand. He made many social and economic reforms during his reign . King Chulalongkorn, Rama V (1869-1910) continued his father’s tradition of reform, abolishing slavery and improving the public welfare and administrative system. Compulsory education and other educational reforms were introduced by King Vajiravudh, Rama VI (1910-1925). During the reign of King Prajadhipok, (1925-1935), Thailand changed from an absolute monarchy to a constitutional monarchy. The king abdicated in 1933 and was succeeded by his nephew, King Ananda Mahidol (1935-1946). The country’s name was changed from Siam to Thailand with the advent of a democratic government in 1939. Thailand’s present monarch, King Bhumibol Adulyadej, is King Rama IX of the Chakri Dynasty.